If your idea of camping is limited to pitching a tent and throwing down a sleeping bag during the balmy summer months, you need to think bigger. You can spend the night under the stars year round, if you know how to do it right. 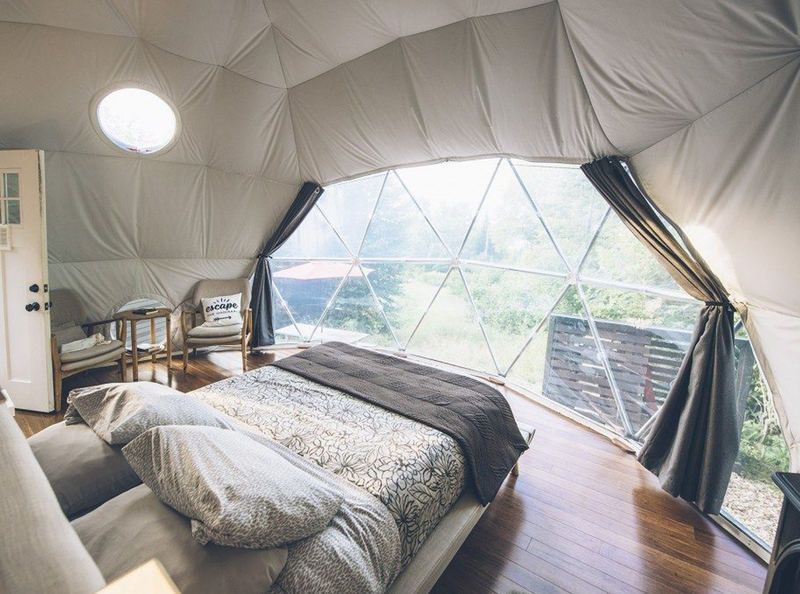 And these glamping accommodations around the world really do it right. 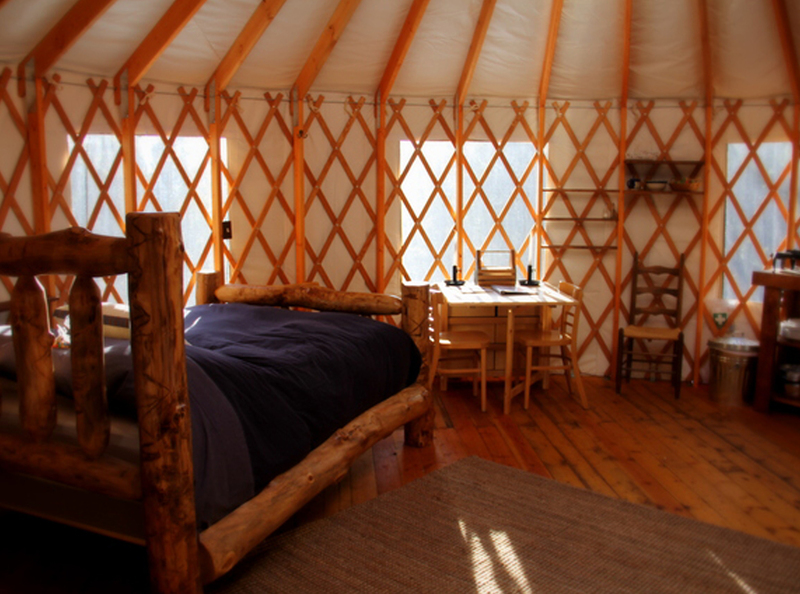 Don’t think of glamping as a prim and proper experience—think of it as a way to experience even the most unforgiving environments without giving up creature comforts like, you know, space heaters. 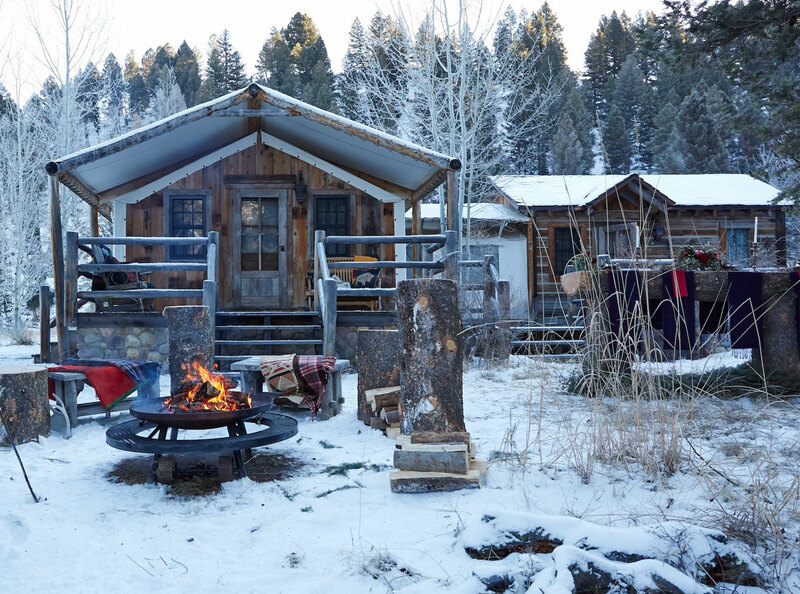 Whether you’re in a transparent igloo, a winterized wigwam, or a canvas tent, you’ll stay warm and cozy no matter how much snow is comin’ down. Mont Blanc—Europe’s highest mountain—is ground zero for cold-weather sports. Skip the traditional ski lodges and chalets in favor of Altipik’s canvas tents. They may look more suited for a safari than their alpine location, but bunking in the winterized wigwams and lodges is downright cozy, thanks to feather bedding and woodwarming stoves. It’s a satisfying respite after a day of snowshoeing, mushing, tobogganing, and cross-country skiing through the surrounding French Alps. In a remote valley in Montana’s Big Sky Country sits The Ranch at Rock Creek, a working cattle ranch that doesn’t skimp on luxury. There are two canvas-and-wood cabins available along the banks of Rock Creek for winter campers. One is more secluded (read: romantic), with a custom outdoor soaking tub. The other is geared more toward families and is closer to the main lodge. Both have gas stoves and heated floors that keep things cozy—even when blanketed in snow. In the age of Instagram, Scandinavia has become famous for its incredibly photogenic igloos. Hunker down in one of Torassieppi’s sci fi-looking geodesic domes, which are located right next to Saariselkä, Europe’s northernmost ski resort. Nearby, there’s cross-country skiing and reindeer spotting (you are above the North Pole, after all). Come sundown, you’ll want to cozy up in bed—there’s no better place to view the Northern Lights than through your own roof. Perched on a ridge in Idaho’s Sawtooth National Forest, Galena Lodge’s four yurts are so remote, they’re reachable only by cross-country ski or snowshoe (don’t worry, the lodge provides a pull sled so you can lug your gear to the campsite). After a day of trekking through the forest, you can order gourmet food straight to your yurt—and since the wood stove keeps things toasty, the only reason you’ll want to leave is to visit the wood-fired sauna. 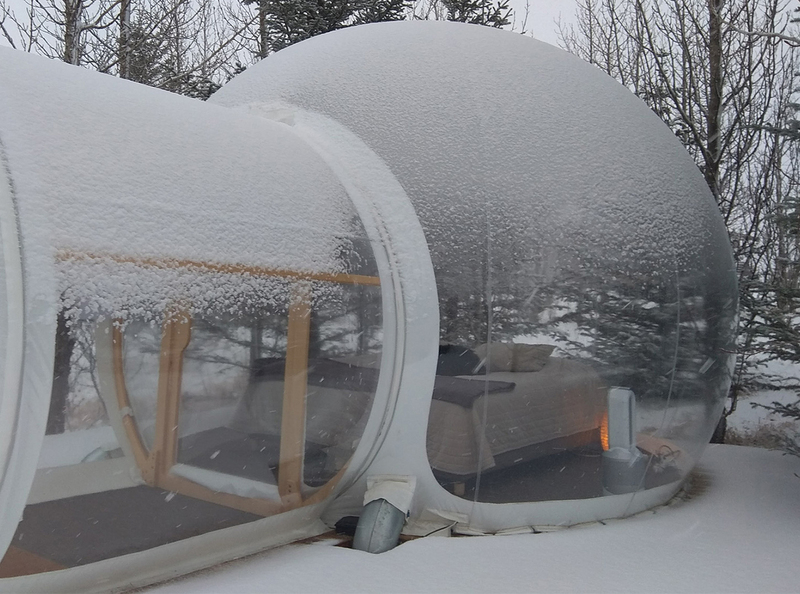 Iceland’s landscape is so foreign it seems almost alien, and there’s no better way to get a 360-degree perspective than from one of Buubble’s six fully transparent bubble rooms about an hour outside of Reykjavik. Join one of the company’s tours—which hit all of Iceland’s hot spots from the Skogafoss waterfall to the famous Geysir hot spring area. At night, a space heater and extra blankets will keep you warm while you stargaze in your own personal snow globe. Nestled on the slopes of the Swiss Alps, each of White Pod’s winterized domes is completely unique: One is aptly decked out as a traditional Swiss chalet; one features an indoor forest of birch trees (and a hammock); and one was designed with James Bond’s futuristic style in mind (it includes a champagne and gin bar). All are connected to spring water and heated by pellet stoves, and offer breathtaking views of the craggy, snow-covered mountaintops. With a fresh snowfall, Ridgeback Lodge’s glamping domes blend right into the quiet forests of New Brunswick’s Kingston Peninsula. Each one comes with a wood stove, a full bathroom, and a kitchenette (some even have private Japanese-style wood-fired hot tubs), and prime access to three miles of snowshoe trails, as well as groomed cross-country trails at the nearby Elmhurst Outdoors recreation area. 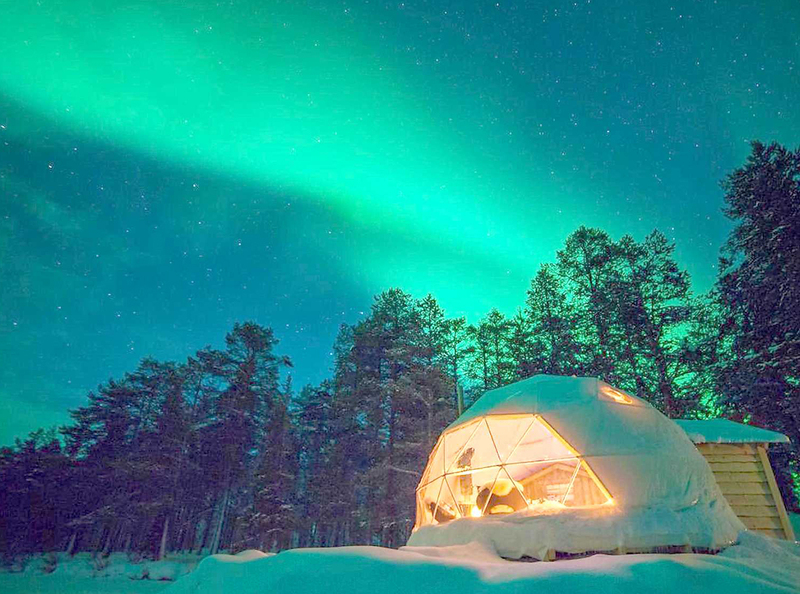 Get a Scandinavian glamping experience without the cost of airfare to Europe. At Eastwind Hotel & Bar in New York’s Catskills mountains, you can stay in one of three A-frame Lushna cabins. 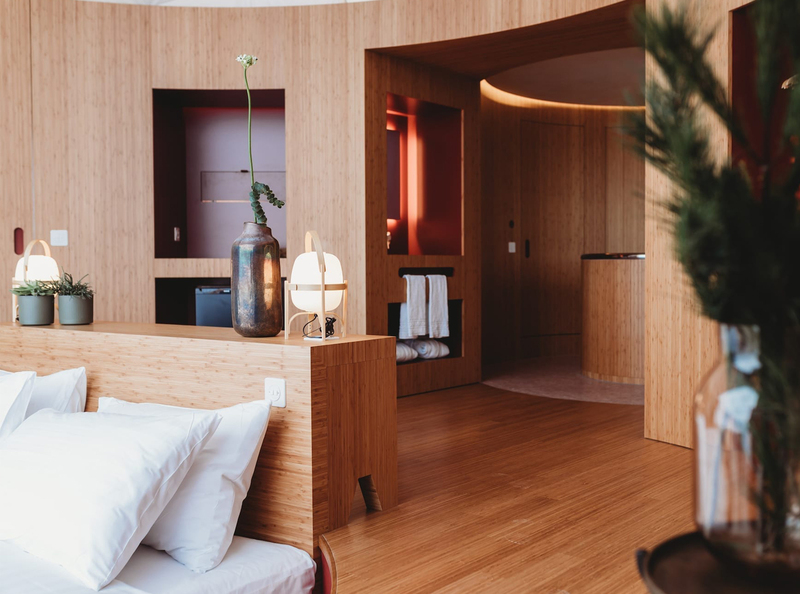 These minimalist structures still include comforts like a roomy bed, wool blankets, a private bathroom, and a sauna. The hotel itself (which was once a 1920s bunk house for hunters and fly-fisherman) also has a barrel hot tub for après outdoor activities. 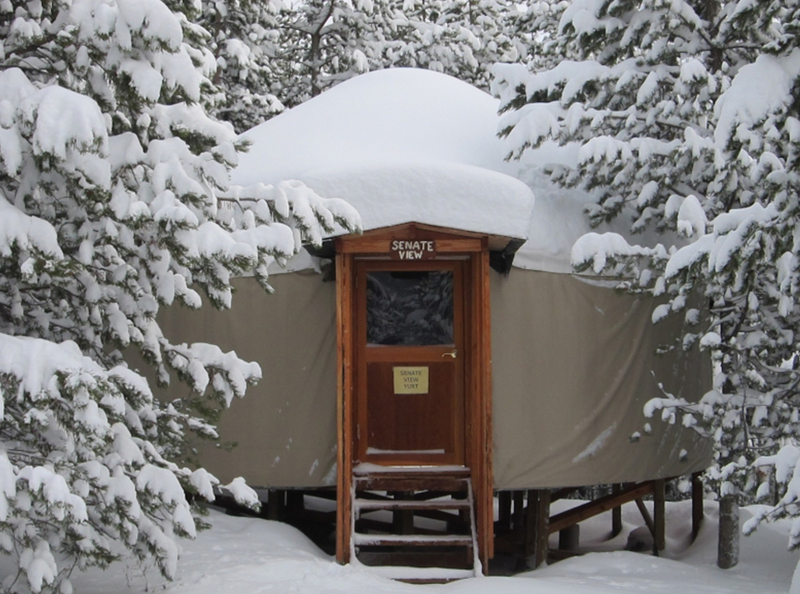 Spend a night deep in the Rocky Mountains at one of the yurts owned by Tennessee Pass cross-country ski center and lodge. Over a mile from the trailhead, these tents are super secluded (luckily, the staff will help transport your bags) and come with wood stoves, handcrafted log beds, and kitchenettes. It’s a prime spot from which you can explore the property’s 15-plus miles of groomed snowshoe and cross-country ski trails.